New improved mounting hardware to improve clamping strength for 2017. 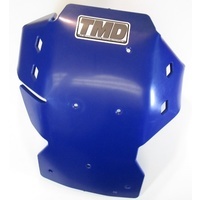 Our YZ 250 X plate protects the main frame rails, ignition-oil cover & water pump sidecase areas. 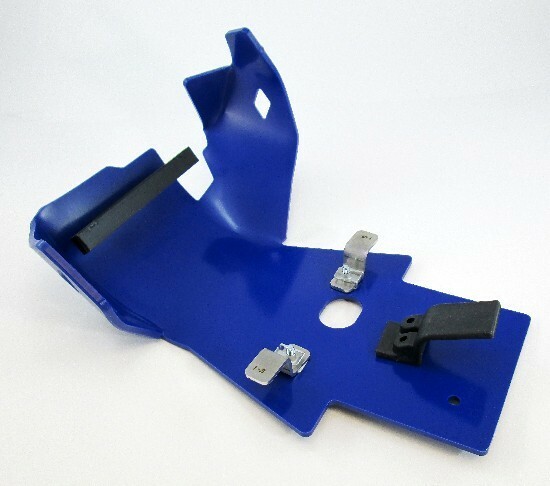 This is not a thin walled lower strength injected molded or noisy aluminum skidplate. 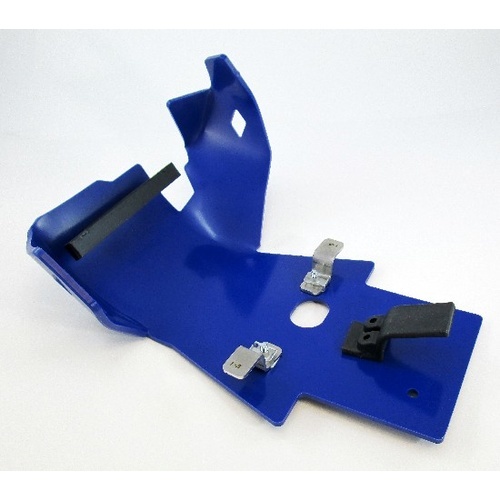 Patented forming technique mirrors frame bends for a perfect fit without stress or potential cracks. Years of testing proved our impact absorbing composite material & silicone additive to work best. 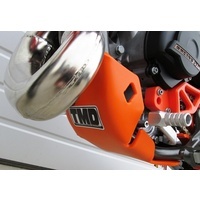 This skid plate is 35-40% lighter than most aluminum parts and really reduces sound. 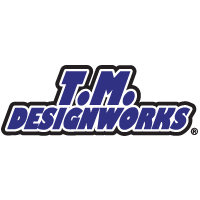 Used by Raines Racing, Ampro Racing, and is recommended by most off road magazines. This plate on weighs 1.2 lbs and comes with oil drain holes. 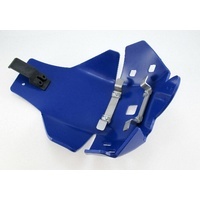 Custom skid plate foam is available for dirt and mud protection. 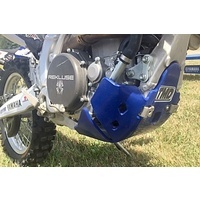 FITMENT: 2016-17 YZ 250 X 2 STROKE Off road only.